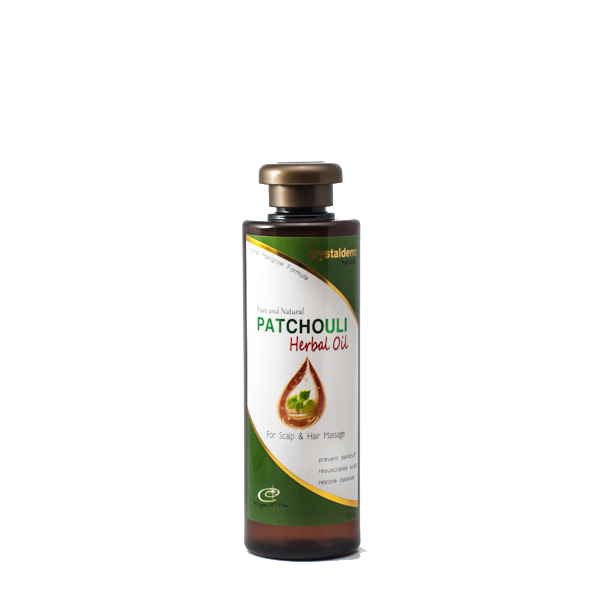 Crystalderm Patchouli Herbal Oil is specially formulated with pure and natural Patchouli Oil and Virgin Coconut OIl carefully combined to revitalize the scalp and strengthen the hair roots through gentle massage. This pre-shampooing regimen is highly recommended to remove dandruff, stimulate the scalp to enhance new hair growth, repair hair damage and restore its natural luster and shine. 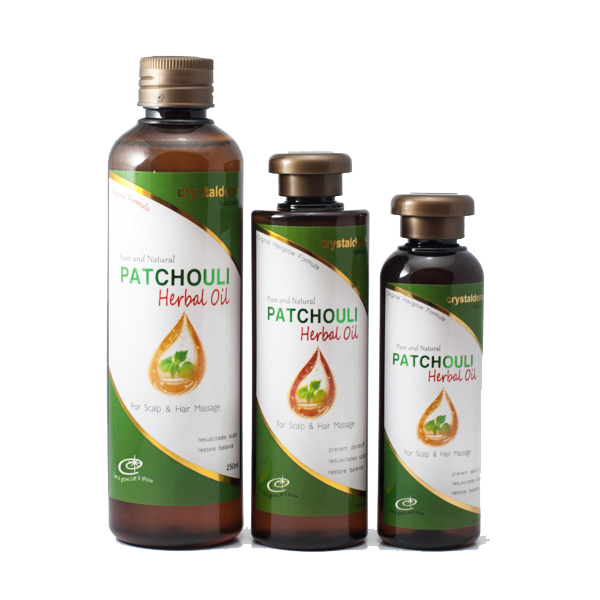 The skin benefits of patchouli oil are plentiful. It regenerates skin cells, which makes it useful for stimulating the scalp to grow new healthy hairs.. It tightens and tones sagging skin. 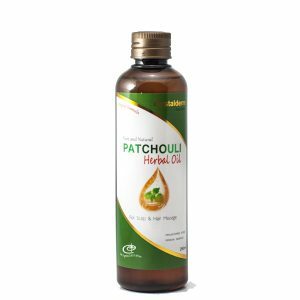 Because of patchouli’s anti-inflammatory properties, it can calm skin problems such as sunburn, acne, eczema and other forms of dermatitis. It regulates sebum production and helps treat acne and dandruff. The fungicidal properties make it appropriate for combating athlete’s foot, jock itch and fungal problems of the skin. It soothes and smoothes cracked skin and is said to be beneficial for helping brittle and weak hairs.